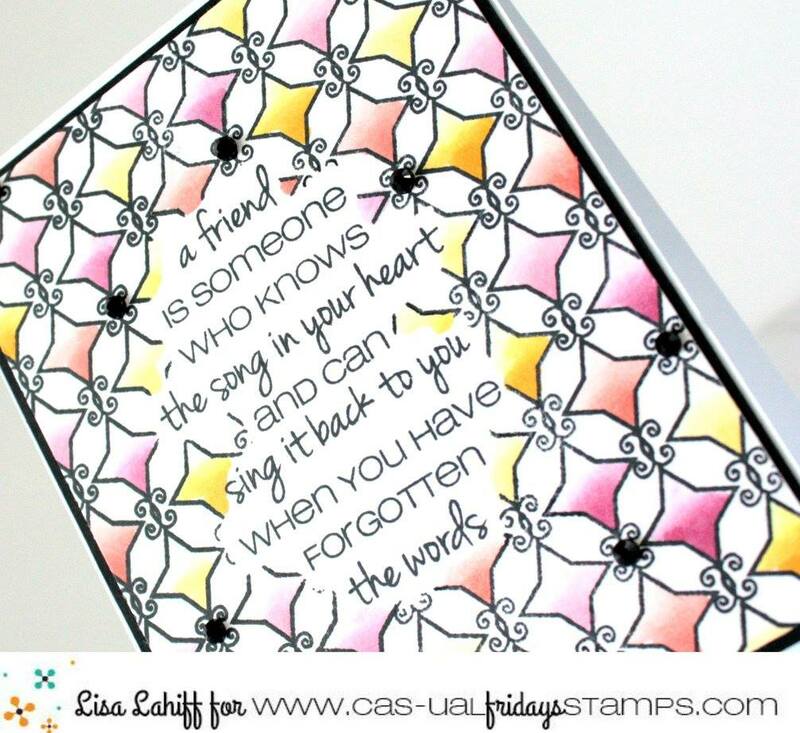 CAS-ual Fridays Stamps: Friend Friday with Chameleon - Take 3! Friend Friday with Chameleon - Take 3! We've teamed up to bring you loads of inspiration from our design teams AND a chance at prizes too! so you can see all the wonderful things you missed and get your chance to get your chance at the prizes! Winners will be announced at the end of this month...just in time for our NEW RELEASE! Are you ready to see some awesomeness? We've got CAS-ual Fridays goodness paired up with Chameleon goodness for your oohing and aahing delight! "I couldn't resist making a trio of cards using the Chameleon markers! I used colors from the Warm set along with a purple I received at CHA. 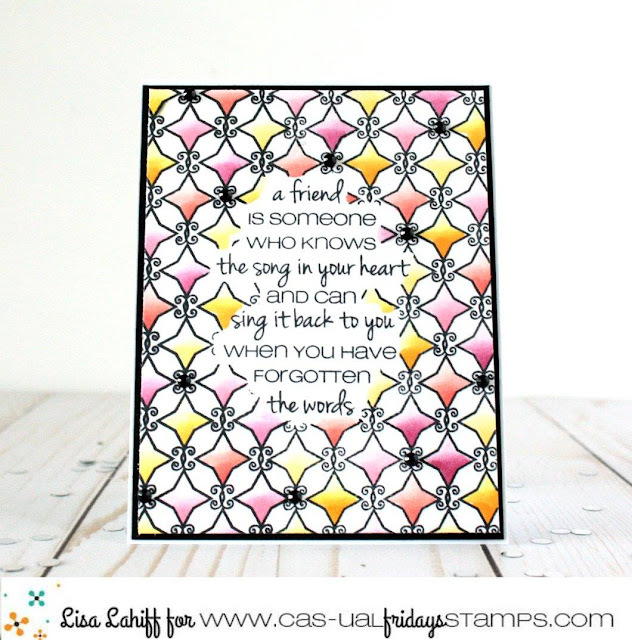 The markers work great and blend effortlessly on a large open area like the flower from Mon Ami!" "I love the gradient look that these markers can achieve so I decided to color an entire background with them, but I also wanted to challenge myself to keep this as a flat card. Challenge accepted! I started by stamping this wonderful sentiment from the Big Treble Stamp Set onto my panel. I then created a mask for my sentiment before stamping my background with the Starlequin Stamp Set. This set is super easy to line up to create one cohesive look. I then colored in my background with these markers, giving each diamond a gradient look. 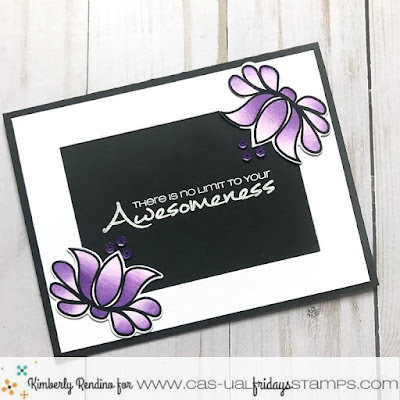 After adding a black panel behind it, I adhered it to my cardbase and finished it all off with some black rhinestones." Last but certainly not least is Shona with absolutely lovely flowers from Pretty Posies and our Retiring Wonderful Words along with a fantastic sentiment from our Tag You're It stamp set! 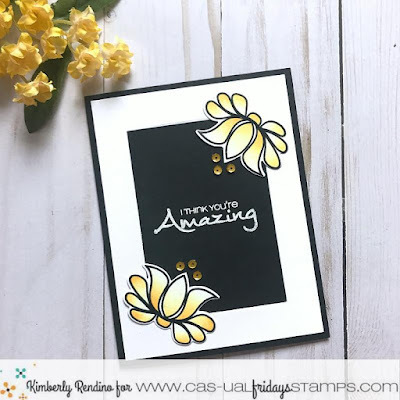 "Using flowers and leaves from 'Pretty Posies' and retiring set 'Wonderful Words' I stamped them all using Memento black ink on Strathmore Smooth Bristol Cardstock. I used the Chameleon 'Floral Tones' pen set to shade all the flowers. It took a bit of practice and I found that the slower I went, the less streaks I left and you can see on my flowers how I got better as I went along. I would blend for 2 seconds for the smaller flowers, 3 seconds for the medium and 4-5 seconds for the biggest ones. The colours are beautiful and perfect for flowers. They really are magical to use!!" Are you feeling inspired yet? I certainly am! In fact I'm loving that card from Shona so much that I decided to do a very special and very limited offer on a very special product bundle! Are you following us @casfridays on Instagram? Then head over to our friends at Chameleon to see what they have to share with you today, and get your chance at their prize too! All three are super pretty! I was just looking at the Chameleon markers at the store today, but haven't bought any yet. I wanted to do a little more reserach, but it sounds like I need to get some. I am not on Instagram, just FB. All of the cards are lovely! I'm not on Instagram. But I'm subscribed to your blog. like they'd be easy to use. I just hit "follow" for Instagram. Gorgeous cards. 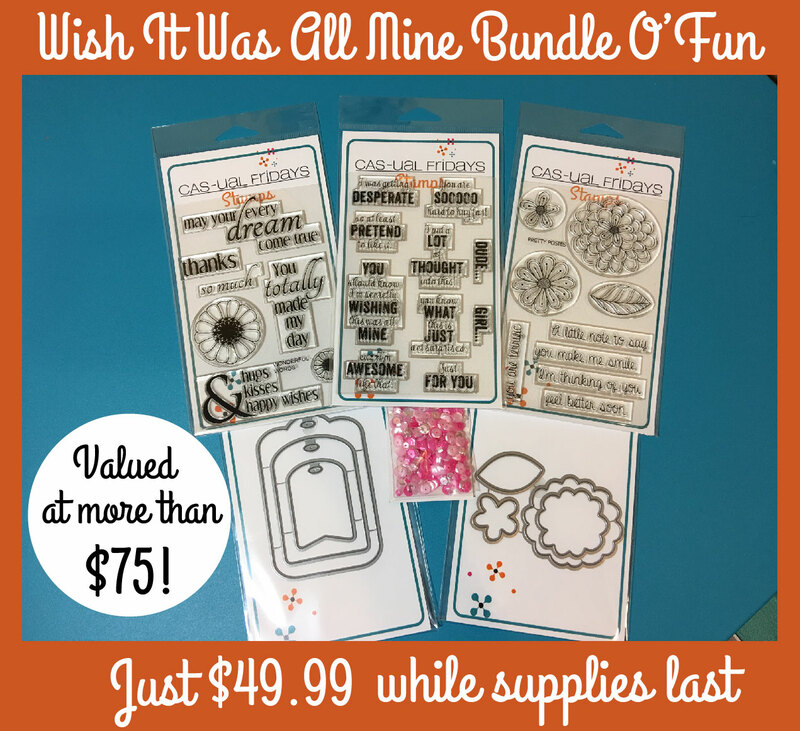 Beautiful stamp sets. Definitely following CAS-ual Fridays on IG. Beautiful coloring on all the projects! Hey, YES I follow Casual Fridays on Instagram! 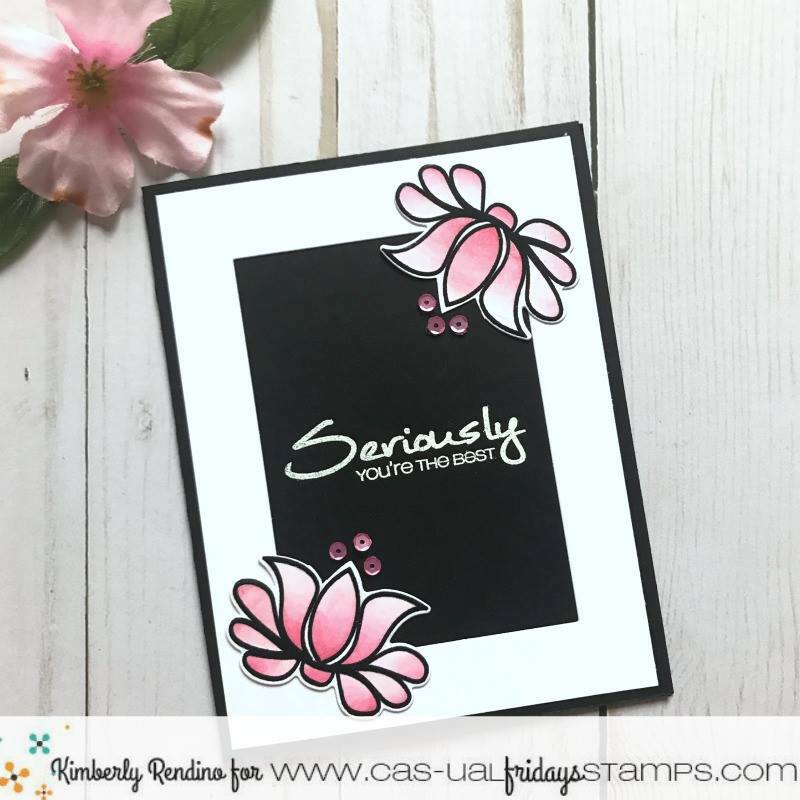 Are your cards are lovely! I especially LOVE the sentiments!! I'm already follow you on IG as raggiodiluc3. signed up with Instagram. Sorry. Awesome cards! Love that Starlequin pattern! I can't follow on IG since I don't have a smart phone and can't sign up! Fabulous cards. I like the dark layer on the first trio. No I don't follow you on Instagram just don't do Instagram as I have all on keeping up with blogger and Facebook, Twitter ,Instagram and any others are just a no no as I don't have time or am techi orientated leave that to hubby and son. Sorry I don't follow you on Instagram--I mostly just email and check out blogs etc. That's how I enjoy your wonderful cards (such as the exquisite ones above) and hear about your new releases and sales. I'm truly enjoying this pairing with Chameleon. Thanks! Every one of these is just delightful! Love the colors and layouts and any one of them would make my day if it landed in my mailbox!! Yep, I follow you on IG!